When using this website, we collect your personal data by means of an electronic form which you fill in with your Name and E-mail address. We may also collect your personal data when you have booked cinema tickets and have opted in to receive further communications. The information you provide to us, as described above, will not be shared with any third party - including people and data networks. Where you have signed up to receive our weekly film times we will use your supplied email address to send them. You can manage these subscriptions online and can remove your data by surrendering the service subscription at any time. Our mailing list is managed using SWD (Sherborne Web Design) who in turn use iContact for the sending of the weekly email. SWD servers are located in the UK. iContact is an American company so data will be leaving the EU but securely. For concerns please email them gdpr.help@icontact.com. For their privacy statement please read iContact's Statement of GDPR Preparedness. Jack Roe (CS) Ltd's servers are located in the UK, and they do not transfer personally identifiable data to any company outside of the UK. Whilst the use of our website is not specifically targeted to persons under the age of 16, it is acknowledged and accepted that persons of this age are likely to want to interact with us, use our services and visit our cinemas. For this reason, we have no restrictions on whether persons of this age can use our website or sign up for services. Our services are not chargeable and we therefore do not expect any major problems to occur. If you are a parent and you believe that your child may have signed up to our services or have been signed up to our services without permission or understanding, please contact us and we will endeavour to work with you to resolve the situation. Neither our website, nor Wells Film Centre Cinema, collects any financial information you may provide. Financial data provided during the booking process (such as your credit card number) is neither stored, nor shared with Wells Film Centre Cinema by any means. 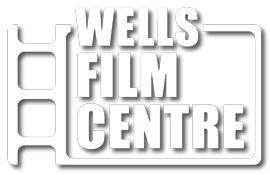 Wells Film Centre Cinema does not have access to credit/debit card numbers, and cannot search for bookings using the number alone, unless the card is presented at the cinema box office. Where we may opt to sell you a ticket over the telephone (as a "Customer not Present" transaction, usually for booking wheelchair bays) we will ask you for your credit or debit card details, which are input directly to the ePos system - once input, your card details are no longer available to us by any means. We will never ask you for a PIN. Our website may contain links to other websites. Wells Film Centre Cinema accepts no responsibility for any personal information that you may choose to provide to any third party linked from this website. You have the right to request a copy of the information we hold about you at any time. To make such a request, please use email the cinema direct at info@wellsfilmcentre.co.uk. In line with the GDPR, we will not make a charge for this and will return all queries within one calendar month. Please let us know if you are unhappy with how we have used your personal information. You can contact us using our secure online contact form, email address or by contacting the cinema directly via the telephone/in person. You have the right to complain to the ICO if you believe there is a problem with the way we are handling your data. For the purposes of the GDPR, the data controller is Wells Film Centre Cinema (Princes Road, Wells, BA5 1TD). For the purposes of the GDPR, the Data Processor is Jack Roe (CS) Ltd (Trading as Jacro Cinema Sales) for in-cinema ePos and advance booking; and SWD (Sherborne Web Design) for mailing lists and online (non-booking) activity. Wells Film Centre Cinema has appointed a Data Protection Officer, whose details will be made available to anyone contacting us to discuss any aspect of this policy.